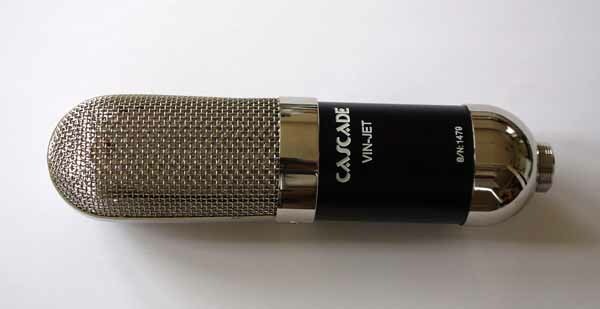 CASCADE VIN-JET figure-8 ribbon mic, upgraded with the AMI TR-42 boutique transformer. 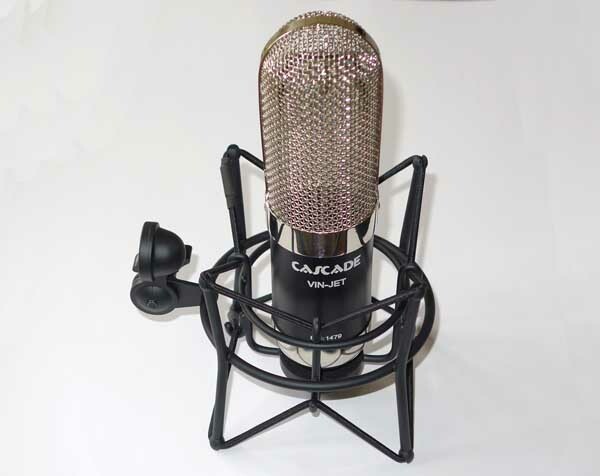 This is a Cathedral Guitar exclusive -- as we are the only authorized dealer for whom Cascade installs the AMI TR-42 transformer as a factory upgrade -- which catapults this mic up several notches, allowing it to compete with mics costing 3-4x as much. The AMI TR-42 transformer gives the mic more colored sound compared to the Lundahl, and is a huge step up from the stock Chinese transformer. 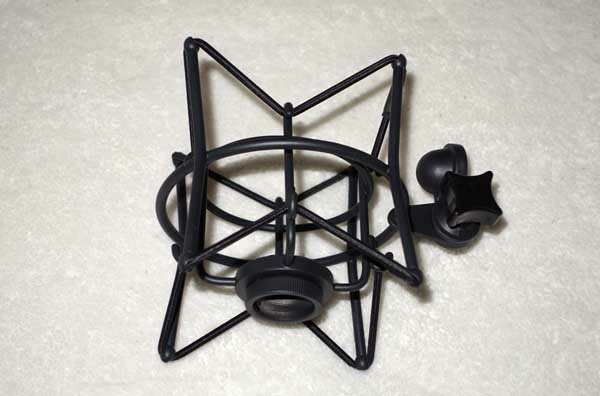 So here is a unique opportunity to get this wonderful-sounding boutique ribbon mic for a very modest outlay!!! 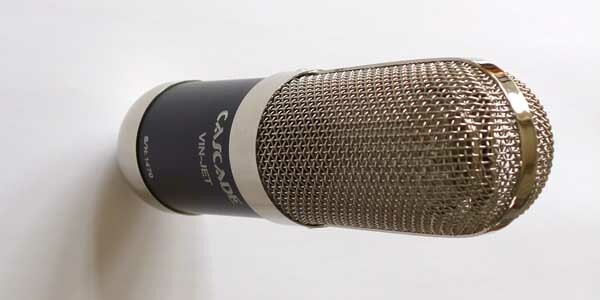 CLICK HERE for 1270 DPI Hi-Res photos of the AMI TR-42 upgraded VIN-JET, and HERE is official info from the Cascade website, and HERE is some additional VIN-JET info from Recording Hacks, where the VIN-JET was a winner in their $60,000 Ribbon Mic Shoot-Out. 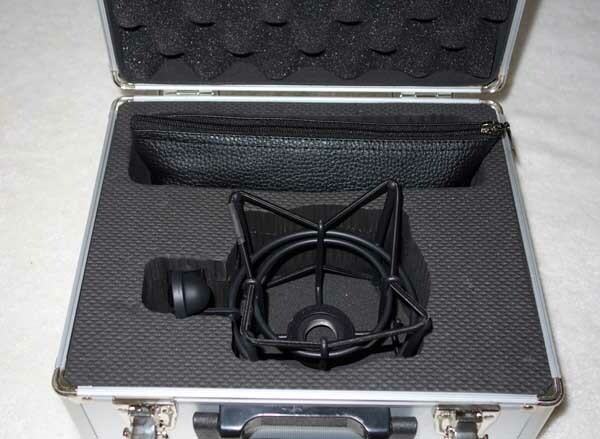 The VIN-JET / TR-42 is an excellent Long Ribbon mic, a very smooth-sounding mic that excells when the you want a ribbon mic with great low and and high end detail -- as opposed to the Short Ribbons, which are more midrange focused. The first 2 guitars used in the above tracks were both made in 1933, and this VIN-JET does an excellent job of capturing the vintage color of these instruments, and not only that, is s similar capture to what would have been used at the time. The AMI TR-42 is a more colored transformer than the other available choices, and is a perfect match when the vintage ribbon sound is wanted.  In addition, these sound great on vocals and modern instruments as well, and help bring out bass presence, and despite the extended top end, have a natural EQ roll-off to any hints of sources that otherwise might sound shrill or have some harshness. USA shipping is $14.95 via FedEx Ground, with tracking, Insurance and Signature Confirmation. Satisfaction Guaranteed, with a 3-day return, buyer pays shipping, so please ask questions first. 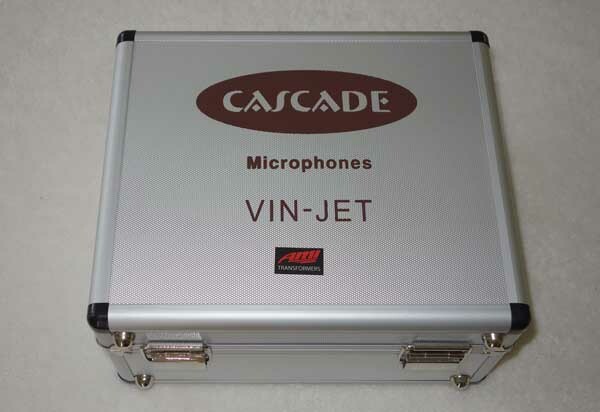 This auction is for a new Cascade / AMI VIN-JET mic, Mic Pouch, Shock Mount, Flight Case, and care instructions.